Today we’d like to introduce you to Megan Lower and Belghit Babat. Belghit is Moroccan American, and Megan was traveling to Morocco with him. She absolutely fell in love with the country, and wanted to make plans to bring her family and her friends to experience all the wonders of Morocco. Since the list of people they were going to be taking to Morocco kept growing, they got the idea to start offering tours of Morocco publicly. 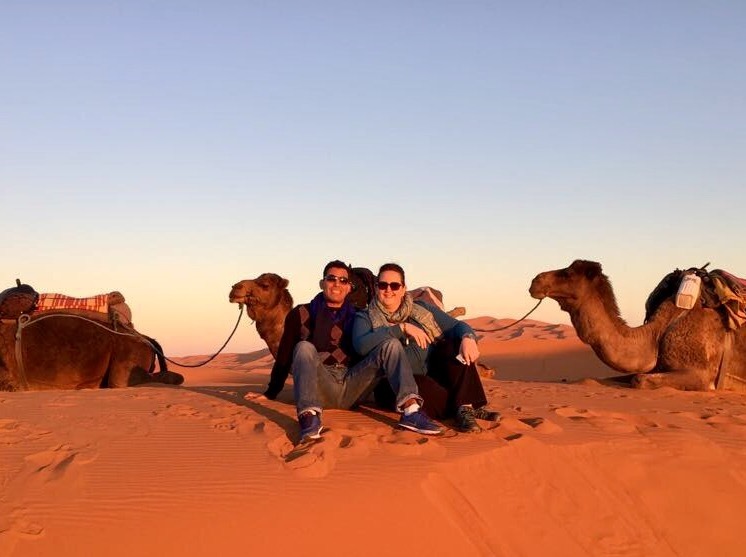 From there, they began Wanderlust Voyages, opening their office, attending the New York Times Travel Show with the Moroccan National Tourism Office, arranging tours for travel agents, and helping people plan honeymoons and family vacations to Morocco. Absolutely not! We had a steep learning curve trying to figure out what we are doing. Neither of us have owned a business in the US before, or had formal experience in the travel industry. So we had to learn all of it, while trying to determine the best way to grow our business. From learning how to file our business to how to put together a website to how best to advertise, we were responsible for learning it all. We certainly made some mistakes, but we were able to find some experienced people willing to help guide our way. Alright – so let’s talk business. Tell us about Wanderlust Voyages – what should we know? We provide tours of Morocco, as well as private itinerary planning and custom tours. We personally vet all of our partners in Morocco, from the hotels to the guides to the drivers, to ensure that we are providing our customers with the best experience possible. Belghit is able to offer an insider’s knowledge of traveling in Morocco with the benefit of being based locally to work with the clients. He is also the tour leader for groups, rather than simply handing them over to another agency in Morocco. We are most proud of being able to add that personal touch. We are not a one-tour-for-everyone company like many major tour companies. Instead, our focus on one country, and small groups allows us to provide a higher level of service to our customers and ensure everyone has an unforgettable experience. We feel that dedication is the most important quality to our success. From relentlessly seeking out contacts in Morocco, to constantly promoting our company to a greater audience on social media, to networking to find the best contacts to help us promote our business, we have been dedicated to making this company a success. There have been many times where it felt too hard, that we were not getting anywhere, that we were just spending our time and money for nothing, but we have persevered and kept looking for new avenues, better ways to do things, and we have now found success.